Looking for activities to do with the little ones? While the Windy City is brewing with plenty of attractions for people of all ages, it’s a relatively an easy area to navigate with children. 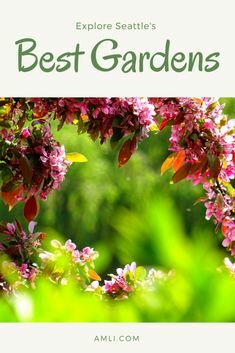 So, when your kids are tired of being cooped up in the apartment and ready to get out and explore, make sure to take them to these places! A short 20-minute walk from our Printers Row apartments will bring you to Willis Tower (or Sears Tower if you’d prefer). It’s the second tallest building in the United States and stands at 1,353 feet above the ground. A 1973 landmark, your children are sure to get a kick out of these stellar views spanning 50 miles and covering 4 states, as long as they aren’t afraid of heights! For those seeking an adrenaline rush, make your way over to “The Ledge,” a glass box hanging over the buildings 103rd floor. If you’re interested in seeing the city lit up at night, the Willis Tower Skydeck is open until 8pm through February, and until 10pm beginning in March. Tickets are $18 for adults, $12 for kids and children under the age of 3 are free! Only 10 minutes from our South Loop apartments, this is the perfect go-to spot for a family outing! For young history buffs in the making, rally your children and head on over to the Art Institute of Chicago. Showcasing masterpieces from every era and places all over the world, this is a great spot to educate and inspire the kiddos of our generation. Founded as both a museum and school for the fine arts in 1979, the Art Institute of Chicago is open daily from 10:30am to 5pm everyday except Thursday, when it’s open until 8pm. For a list of all their upcoming exhibits, be sure to check here to see what sparks your interest! Marc Chagall presented "America Windows" as a gift to the Art Institute in 1977. Made forever famous less than ten years later by an appearance in "Ferris Bueller’s Day Off," the "Chagall Windows," as they are more popularly known, hold a special place in the hearts of Chicagoans. . Take in the glow of this remarkable six-panel work—now on view in Gallery 144. Spanning over 385 acres with a total of 27 distinct gardens, the Chicago Botanic Garden opened more than 40 years ago and has since then become “one of the world’s greatest living museums and conservation science centers.” Open year-round, the garden had more than 1 million visitors in 2017, and has over 50,000 members on its roll who make up the community. Here, various youth and family programs are offered for kids ranging from 2-18 years of age, allowing them the opportunity to learn about science, gardening and even career exploration. From family classes and kids nights out, to break and summer camp, the garden is sure to keep your kids busy, keep them excited and keep them learning! To learn more about what types of programs are offered, look here. Opened in 1908, this year-round exhibit allows you to escape the weather outside as you make your way into this enormous glass structure, housing more than 100,000 plants and over 600 species! One of the largest conservatories of it’s kind in the U.S., you can escape from the hustle and bustle of the city and bring your children to learn all there is to about plants. Here, your family can enjoy activities such as cultural performances, hands-on classes, demonstrations and more! Admission here is free, but they do kindly ask for a donation at the door. Garfield Park Conservatory is a 15-minute drive from downtown Chicago apartments. Layers of colors and textures await you, including 12 varieties of #poinsettias! Closing in on the final days of our Flower Show ‘Tickled Pink’ – on display through January 6th. If your children are interested in exploring and learning all about aquatic animals from across the world, then the Shedd Aquarium is the place to be! Whether you are interested in a guided tour behind the scenes or learning about sharks and sea lions from Shedd experts, your kids are sure to love the interactive activities offered at this local Chicago hot spot. When you’re ready for a quick break, be sure to head on over the Soundings Restaurant, Deep Ocean Café or The Bubble Net for a bite to eat. General admission tickets are $19.95 for adults and $14.95 for kids. Come on out! Interested in more info like this? 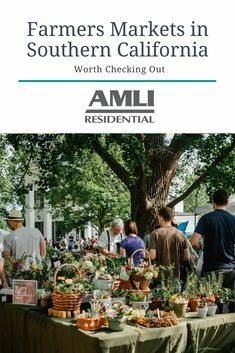 Be sure to keep up with the AMLI blog!